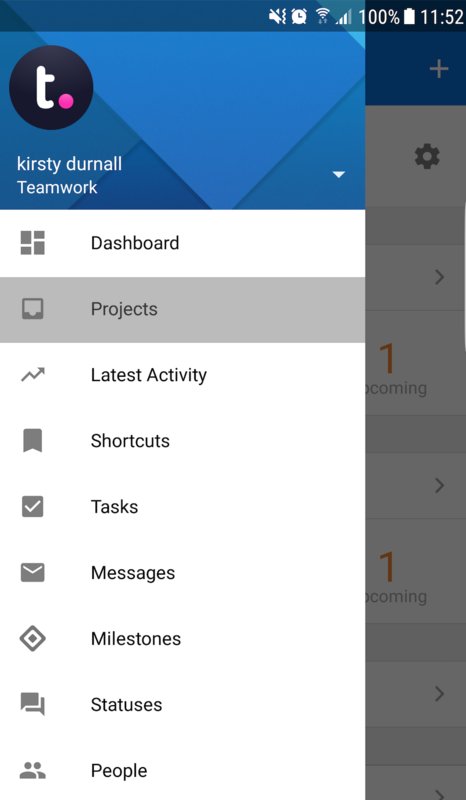 Within Teamwork Projects, you can create new projects using the Projects Android mobile app. To create a project, tap on the menu icon (three lines) on the top left of your screen. 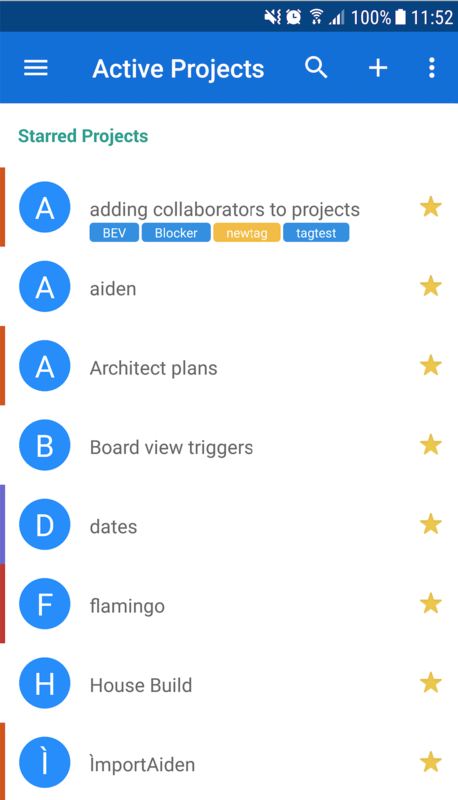 In the sidebar menu, select the Projects option to open the projects list. At the top of the projects list, select the + option to open the Add Project modal. 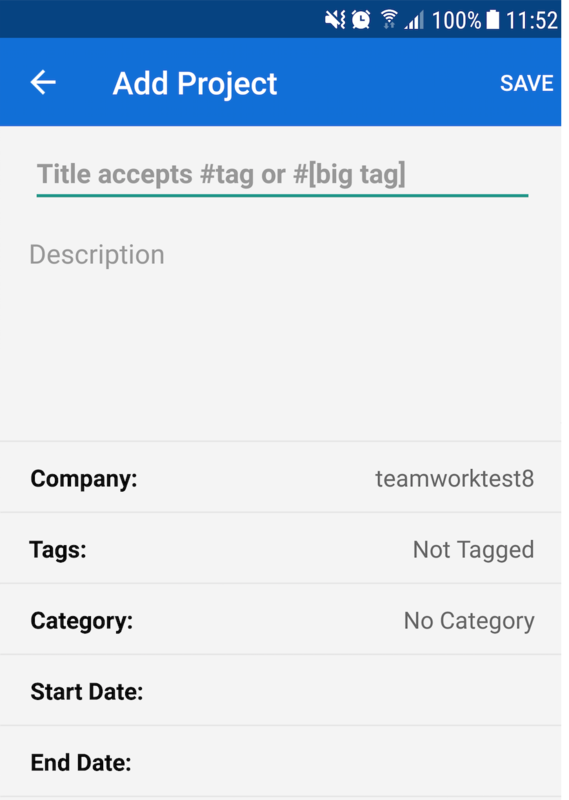 When adding a new project, you can choose a project title and description. Click Save in the top right of the modal to add the project.